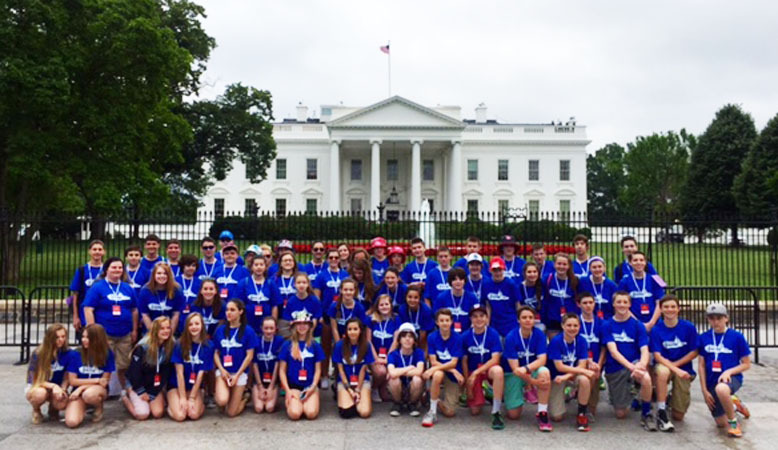 8th Grade STEM Academy Students Enjoyed Trip to Washington D.C.
Eighth graders from the STEM Academy recently visited Washington, DC for four days and three nights. Students visited several national museums including the Smithsonian Museums of Natural History and Air and Space. 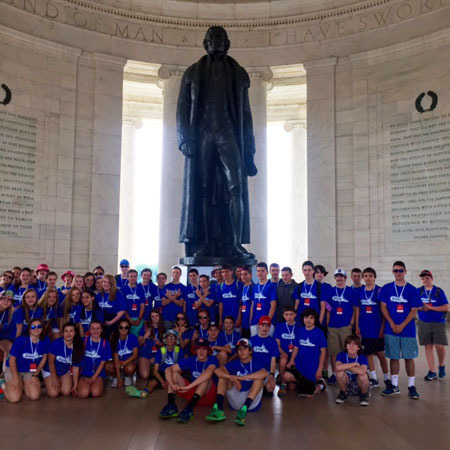 They enjoyed several monuments around the city and learned about our nation’s rich history and government. Students got the opportunity to observe an outstanding exhibit of military exercises at Fort Myer referred to as The Twilight Tattoo where after the performance they got to meet and talk with current members of the US Army. 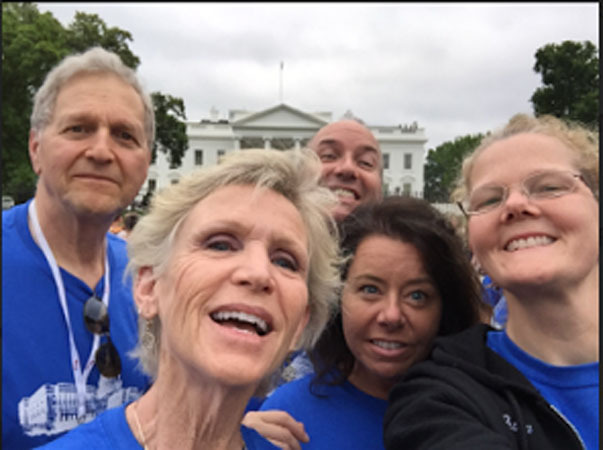 They visited Arlington National Ceremony, the National Zoo and toured the Capital during their time away. At the Holocaust Memorial in Washington, D.C. 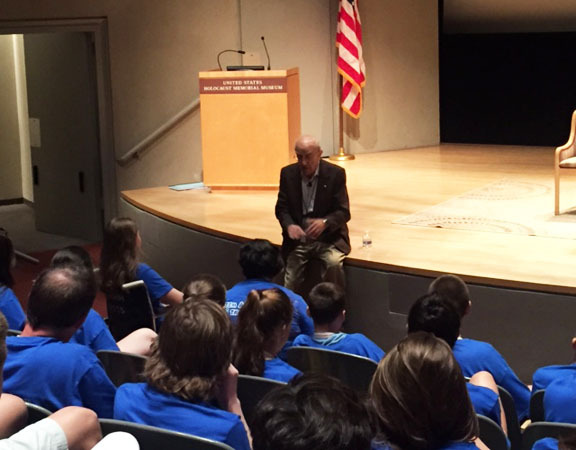 Many students reported the most meaningful part of their trip was an experience that allowed them to meet and talk with a Holocaust survivor at our nation’s Holocaust Museum. There, they heard this 92-year-old man’s story of survival and great strength. This trip was an amazing opportunity for students and their enthusiasm and engagement in all they experienced made their teachers very proud!